New research shows that overreactive and tissue-damaging T-cells can transition into regulatory T-cells that help to control the immune system’s response. These findings open the door to further understanding of the mechanism underlying this transition, knowledge that can help scientists in designing more effective, targeted immunotherapies for diseases like multiple sclerosis (MS). The study, “A temporally dynamic Foxp3 autoregulatory transcriptional circuit controls the effector Treg programme” was published in the EMBO Journal. In MS and other autoimmune diseases, immune system cells called T-cells overreact and begin to respond to non-threatening signals, leading to an uncontrolled activation of the immune system that ultimately damages a person’s own tissues. The same phenomenon underlies allergies like asthma. T-cells are vital immune system cells, activating other cells in this system to strengthen the immune response against invaders like bacteria. However, every immune response needs to come to an end, and for that our body relies on a special group of cells called regulatory T-cells or Tregs. These cells act as negative regulators, and like “good police” they shut down the immune response triggered by overreacting T-cells. Researchers have for long thought that Tregs were always Tregs — and no other cell type could become these beneficial “good police” cells. Now, a team of researchers at the Imperial College London, U.K., showed that overactive T-cells can transform and become Tregs, helping to suppress the immune system and prevent overactivation. “Currently, most immunologists think that regulatory T-cells are professional regulators by nature and they are always regulators,” Masahiro Ono, the study’s lead author, said in an Imperial College news release written by Hayley Dunning. “Surprisingly, we found that new Tregs are generated from activated T-cells during skin inflammation, indicating that some of the ‘bad’ T-cells turn into ‘good’ controllers. T-cells are naturally equipped with the ability to control themselves,” Ono added. The researchers went on to unveil the mechanism underlying the transition of tissue-damaging T-cells into Tregs. They focused on a factor, called Foxp3, which acts as a major determinant of Tregs identity. These findings support a model where auto-reactive T-cells may have fluctuating Foxp3 expression, and that during inflammation some may increase their expression of Foxp3 to become beneficial Tregs. In their research, researchers used their newly developed fluorescent imaging strategy – called Tocky – that allows them to track T-cells and further understand their dynamics in vivo. Knowledge gained in this way is expected to aid in creating more tailored methods to manipulate the immune system response – the principle underlying so-called immunotherapies. Using the skin allergy/skin inflammation mice and Tocky-labeled T-cells, the team gave the animals an antibody used in immunotherapy. Results showed that the system allowed researchers to track the therapy’s effects. This system may help researchers “identify new therapeutic targets and mechanism of drug action in pre-clinical models,” they wrote. 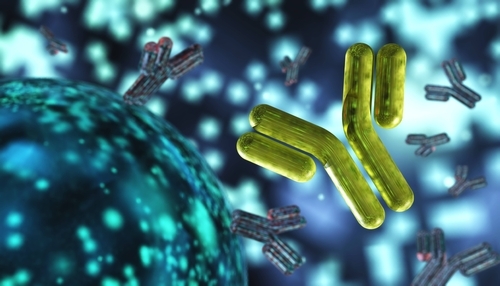 “We believe that our Tocky system will allow us to improve the understanding of how immunotherapies work for some patients, and how they do not work for some patients. This will help in developing informed strategies for immunotherapies,” Ono said. In a following study, the researchers found a similar transition of overactive T-cells into Tregs in tissue taken from patients with melanoma, the most severe form of skin cancer. That study, “Elucidating T Cell Activation-Dependent Mechanisms for Bifurcation of Regulatory and Effector T Cell Differentiation by Multidimensional and Single-Cell Analysis,” was published in the journal Frontiers in Immunology.